Pool at Grand Bahia Principe Turquesa in Punta Cana. One of five resorts in the Bahia Principe resort complex in Punta Cana, Grand Bahia Principe Turquesa offers family activities, a spa, golf course, water sports center, and a variety of a la carte restaurants. There’s also a water park for kids. Guests of Grand Bahia Principe Turquesa can also use facilities at Grand Bahia Principe Bavaro and Grand Bahia Principe Punta Cana, except for the buffet restaurant (each resort has its own buffet). There are just over 500 guest rooms at the resort, ranging from standard suites to master suites that include two connected rooms. All rooms have air conditioning, a balcony or patio, and bathroom amenities. Guests can choose from two full-size beds or one king bed. A la carte restaurants include Italian, Japanese, and BBQ options. There are a variety of bars throughout the resort, including a pool bar and beach bar. 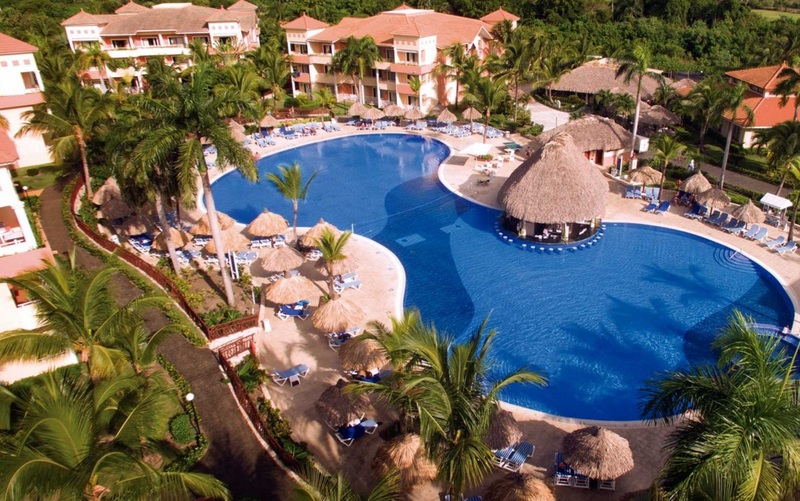 Visit Grand Bahia Principe Turquesa’s website for more information.